Fools, not sages, think themselves wise. A truly wise man is little in his own sight, whereas the fool is "wise in his own conceit" (Pro 26:12). Being wise in one's own eyes is a form of pride, which is "a high or overweening opinion of one's own qualities, attainments, or estate, which gives rise to a feeling and attitude of superiority over and contempt for others; inordinate self-esteem" (OED). A proud man will never become wise because he thinks he already is. Those who are wise in their own eyes demonstrate such by not seeking counsel or asking advice of their elders, by doing far more talking than listening in conversations, and by always ending their sentences with periods rather than question marks. When looking for a man who is wise in his own eyes, three men come to mind: the young man, the formally educated man, and the rich man. The young man is idealistic, thinking the world should work in accordance with his conceptions of reality. He is confident because of his vigorous youth and his lack of understanding of the hard realities of life, and therefore he sees no need to seek counsel from those older and more experienced than he. The formally educated man has letters behind his name that assure him that he is wiser than those who don't. And having paid a small fortune for those letters and having spent many years of his life obtaining them, he certainly doesn't need to bother asking for advice from those whom he deems less intelligent than himself. The rich man equates wealth with wisdom and assumes that anyone that has not the former lacks the latter. He could not be more wrong according to the scriptures which declare that "the rich man is wise in his own conceit; but the poor that hath understanding searcheth him out." (Pro 28:11). The man who "think[s] himself to be something, when he is nothing, he deceiveth himself" (Gal 6:3). Being wise in one's own eyes is meaningless if one is not wise in God's sight, "for not he that commendeth himself is approved, but whom the Lord commendeth" (2Co 10:18). "The Lord knoweth the thoughts of the wise, that they are vain" (1Co 3:20), and He pronounces a "woe unto them that are wise in their own eyes, and prudent in their own sight" (Isa 5:21). Christians are exhorted to "mind not high things, but condescend to men of low estate. Be not wise in your own conceits" (Rom 12:16). David, who was no simpleton, left Solomon a good example of a wise, rich, and powerful man who was humble enough to write: "LORD, my heart is not haughty, nor mine eyes lofty: neither do I exercise myself in great matters, or in things too high for me" (Psa 131:1). As the old saying goes, "better to keep silent and have men think you a fool, than to open your mouth and remove all doubt." It is a mark of wisdom to recognize when one is engaged in a discussion of a topic that is too high for him and to thus bow out humbly rather than pressing on proudly. Fear the LORD, and depart from evil. The Almighty's antidote to being highminded is to fear Him and depart from evil, which includes the evil of pride that God hates (Pro 16:5). Departing from evil is only possible when a man fears God and His judgment of it. Proverbs 8:13 tells us that "the fear of the LORD is to hate evil," and the first two evils listed are "pride, and arrogancy" which brings us back to being not wise in our own eyes. When a man fears the LORD, he does so in part because of the awe-inspiring, infinite knowledge and wisdom of God (Psa 139:1-6; Psa 147:5; Rom 11:33-34). 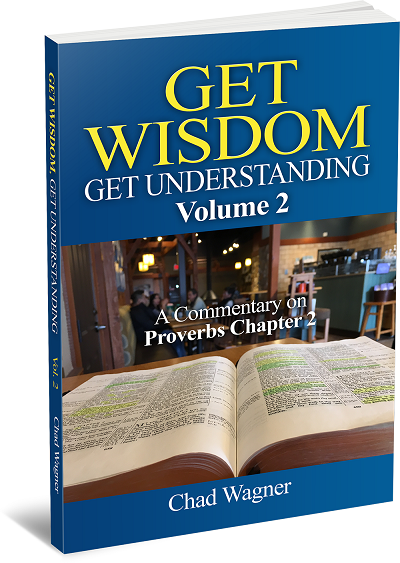 Recognizing the limitlessness of the wisdom of God will quickly reveal the utter paltriness of his own, causing him to "be not wise in [his] own eyes." For the previous blog in this series, click here: Proverbs 3:6. 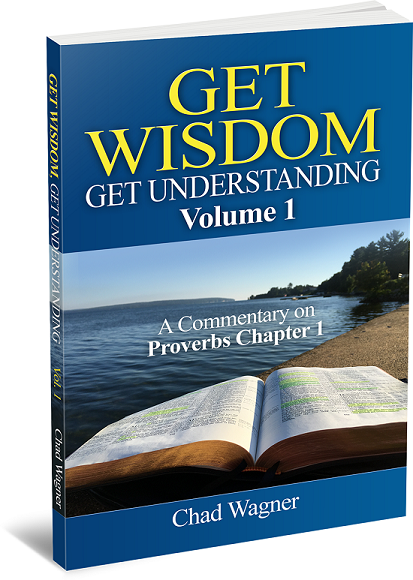 For the next blog in this series, click here: Proverbs 3:8.